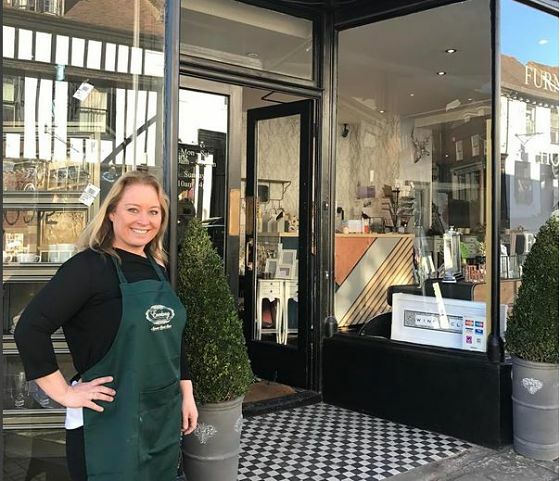 Bringing a fusion of vintage and contemporary interiors, and offering customers the opportunity to attend courses to create something themselves, is Cositas in St Albans. The brainchild of Emma Bustamante, Cositas was launched in February 2017. We spoke to Emma about how Nwes supported her in her pursuit of her business dream. Tell us more about Cositas. Cositas brings together a fusion of vintage and contemporary interiors, and offers customers the opportunity to attend courses to create something themselves. The shop is based on Holywell Hill in St Albans. I sell home interiors and creative workshops, which gives customers the opportunity to mix a range of styles, as well as learning and developing their own skills about how to update their homes. What was the motivation behind setting up your own business? After working in retail all my life, when the shop I was employed in closed down, rather than seek employment elsewhere, I saw this as an opportunity to start-up my own venture. I’ve always enjoyed a love of colours and forms; pretty much for the whole my life my bedroom floor has been covered with interior design and fashion sketches. When the shop closed, starting a business seemed like the solution. After seeking the advice of Nwes, my business dream started to become a reality. The early challenges of finance and business plans presented me with a huge hurdle but I was determined to power through, and with the support of Nwes Business Advisor David Scates, I submitted a successful application for a Start Up Loan. I used this for the shop lease, to make the premises fit for purpose, and to purchase stock. I needed to be organised, determined and braver than I ever imagined I could be, however with my biggest challenges of securing finance and understanding technology overcome, things began to gather pace and, soon Cositas had opened. Does being a business owner live up to expectations? Running my own shop on a day to day basis has been everything I hoped it would be. Cositas is even the exclusive UK stockist of three brands. None of this would have been possible without the support of Nwes and the Start Up Loan. Having met with Business Advisor David Scates for numerous meetings to write and develop my business plan and financial forecast, David believes the future is very promising for Cositas. With continued support from Nwes through the Start & Grow programme, I plan to work hard to achieve success and grow the business.